In the United States, approximately 1/3 of all teenage girls will get pregnant. This is the highest teen pregnancy rate among developed countries—and the teen pregnancy rate in the US is rising. While these sobering facts are not recent news, something of late has made teenage pregnancy story-worthy in popular culture: it seems that movies and television shows featuring expecting teens are now everywhere. In 2007, the Oscar-nominated movie Juno was both a critical sensation and a highly scrutinized film. That same year, then 16-year-old tween celebrity Jamie Lynn Spears announced her pregnancy, initiating concerns from parent groups that teenage pregnancy was being glorified by celebrity culture and the media. More recently, television shows such asSecret Life of the American Teenager have attempted to “de-Juno-fy” the issue of teenage pregnancy by reminding audiences that pregnancy has consequences and you can’t simply find adoptive parents in The Penny Saver. But no series can effectively address the issue of teen pregnancy because it is not real (shocking, I know). In fact, no programs have had more impact in addressing teenage pregnancy than the MTV documentary series,16 and Pregnant and Teen Mom, which both premiered in 2009. It is hard to imagine that MTV, the network best known for hot-tub loving twenty-somethings living in the “real world,” bisexual dating games, and the ridiculous antics of guidos and guidettes at the Jersey Shore, is also the home of pregnant teenagers and teenage mothers struggling to get by. Yet these two shows are some of the network’s most watched new programming; Teen Mom had the highest rated premiere episode for the network in over a year. The first season of 16 and Pregnant follows six girls, ranging from ages 16 to 18, from different socio-economic backgrounds and with different family situations, all expecting. The cameras follow them during the last months of their pregnancy, through labor and delivery, and through their child’s first months. Each girl has big dreams for their futures and how having a baby will affect their goals. But most quickly learn the harsh reality of having a child at 16. In the episode that follows 16-year-old Whitney, she talks about dropping out of high school and being too embarassed to leave her house to take a GED class. Her boyfriend loses his minimum-wage job, her family’s home is sold by the landlord and her baby is born with a chronic liver disease. Whitney’s story is not unique. Each episode features family arguments, out-of-work fathers, completely absent fathers and girls coming to terms with motherhood. Every episode ends with the girl commenting in a video diary about her experience as a teen mother. Most often they admit they aren’t mature enough for the responsibility. Teen Mom follows four of these same six girls through their first year of motherhood. Their relationships crumble under the pressure of parenthood as they struggle to find jobs and complete their educations. Even Catelynn, a high school senior who gave her daughter up for adoption and does not face the daily trials of teenage parenthood, struggles with her decision every day. Granted, these shows are edited to tell complex stories in under an hour, but it is abundantly clear that these shows do not sugarcoat anything. Yet 16 and Pregnant and Teen Mom, as with any documentary-reality series, teeter on the edge of educational and entertainment. It is easy to sit back and judge these girls for the decisions they make, especially if you have never been there yourself. As with any reality show, we watch because we are taken aback by the very fact that these people and these stories exist. But what do these shows say to an actual teen audience? 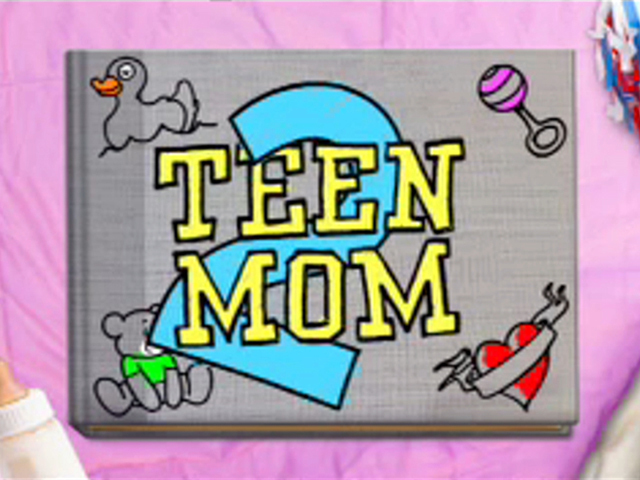 The second season of 16 and Pregnant premiered on Tuesday, Feb. 16 and MTV has already announced plans for a third season. The more girls featured on 16 and Pregnant (in season two there will be ten girls featured) and then Teen Mom, the more concerns need to be raised about these shows. Will 16 and Pregnant and Teen Mom follow the trend, and like Juno, Jamie Lynn Spears and Bristol Palin, trivialize teen pregnancy? For now, I don’t know the answer, but I am still tuning in each week.